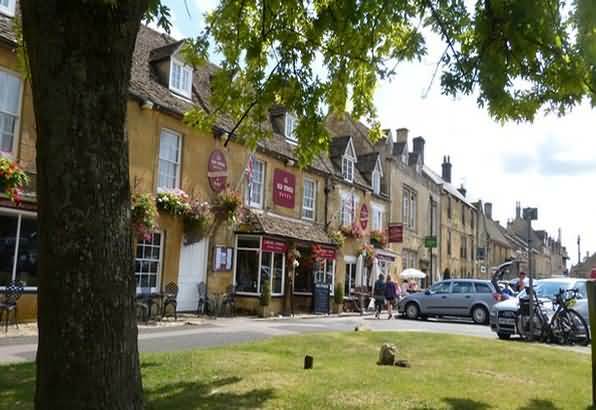 Stow- on-the-Wold is the highest settlement in the Cotswolds. It is 790 feet (241 metres ) above sea level. The 15th Century church tower is visible from miles around. The area has been influenced by Neolithic man, the Romans and then the lengthy wealthy Medieval period with the associated wool riches. The main square is set back from the Fosse Way a Roman road built over an ancient British track; which was a Salt Way- used to transport salt across the country to coastal ports in the south of England. The town was created at the top of a hill to hold fairs and markets. Once a market charter had been granted to the town by Henry I, in 1107, the place never looked back. 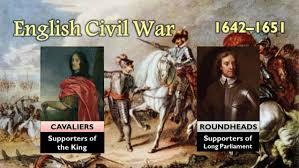 England’s Civil War (between 1642 – 1651 ) was a dramatic period in the history of Stow-on-the –Wold. Brother fought brother and father fought son in this bloody conflict. Stow remained loyal to the Crown, a fact confirmed by the number of Inns with names connected to royalty. The King’s Arms claims to have had King Charles I as a guest at the time of the Battle of Naseby. There is also the Royalist Hotel on Digbeth Street which is listed in the Guinness Book of Records as England’s oldest Inn (947 AD). The last great battle of the Civil War was fought to the northwest of Stow, towards nearby Donnington. Here, the Royalist Sir Jacob Astley marched with 3,000 men and was defeated by Cromwell’s Roundheads. The Civil War was a dramatic period in Stow’s history. 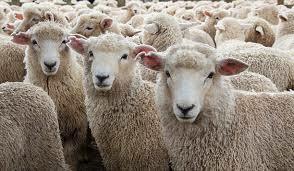 The climate and the landscape of the Cotswold hills made them particularly suitable for sheep rearing. Vast open downlands made superb pastures and clean rivers and streams were used for sheep- washing and for cloth making processes. The Cotswold sheep was a heavy fleeced, long- fibred wool breed and commanded respect and a high price in European markets. Prosperity lasted for hundreds of years and is clearly seen in the solid yet warm architecture of the Cotswolds. Daniel Defoe wrote of 20,000 sheep being sold here on a good day. The town’s heart is definitely the fine Market Square. So it was here that the thousands of sheep were sold. There are narrow alleys that link Sheep street to the Market Place; these are called ‘Chures’ and were used to drive and count sheep on Market days. 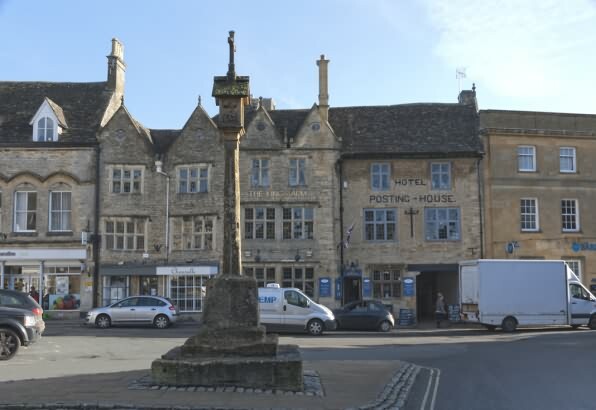 All the buildings around the Square are built of the georgeous Cotswold Stone. 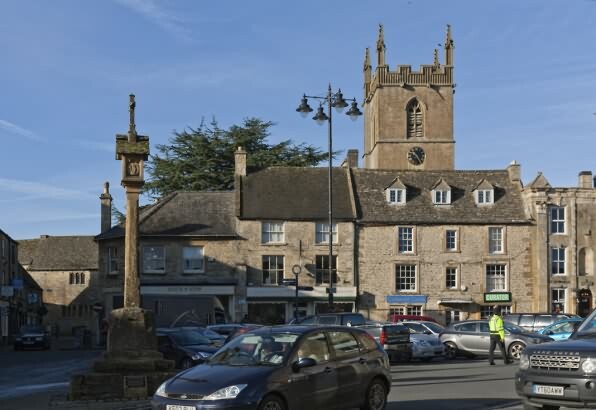 The south east of the Square has the ancient Market Cross with the King’s Arms close by; on the East side of the Square is the attractive White Hart; and at the North end of the Square is the beautiful Green with the ancient stocks.